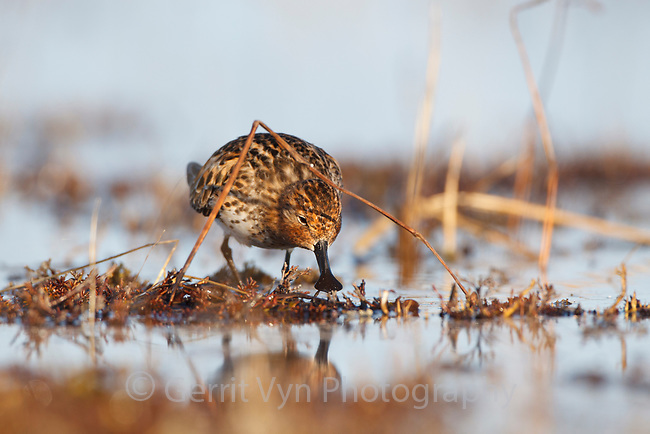 Spoon-billed Sandpiper foraging in a shallow tundra pond. Chukotka, Russia. June.